We are now accepting members for our 2018 Summer/Fall season! Most, if not all of your questions can be answered here, on our website, but if you still need assistance after you’ve looked around, don’t hesitate to contact us! Our Summer/Fall and Winter CSA produce comes from a conglomerate of amazing small, family farms in NY state with the bulk of produce (vegetables and fruit) coming from Hepworth Farms. Hepworth Farms is a seventh generation family owned farm in Milton, NY on the banks of the Hudson River. The farm is lovingly run and operated by Amy Hepworth, Gail Hepworth and Gerry Greco. Hepworth's vegetables and berries are Certified Organic and they practice Integrative Pest Management when farming the rest of their fruit. 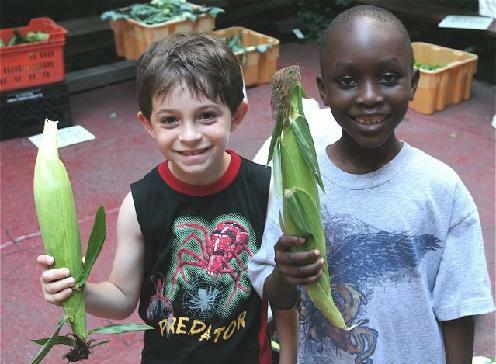 A CSA (Community Supported Agriculture) is a partnership between a city group and regional farmers. During the winter and spring, the CSA farmers sell shares in their farm's upcoming harvest to individuals, families or institutions. The share price goes toward the cost of growing and distributing a season's worth of produce and paying the farmer(s) a living wage. By supporting the farmers, our CSA members not only get freshly harvested produce once a week at very affordable prices, but each member is also helping to preserve local/sustainable agriculture and farmland! If that’s not enough, members also enjoy connecting to their local community of food-conscious neighbors and can participate in potlucks, trips to the farm and other fun events. Summer/Fall CSA: This season, we will offer Large or Small 23 week memberships or 15 week memberships which we call, "Vacationer’s Share” memberships. The 15-week "Vacationer’s Share memberships” are to accommodate those who are away during most or all of July and August; so pick-ups are only during the months of June, September, October and November. In addition to our Veggie Shares, we have a HUGE selection of Optional Shares, which any member can choose to add to their subscription. Our Optional Shares consist of fruit, pastured eggs, raw cow or goat milks, yogurts, pastured pork or poultry, 100% grass-fed beef or lamb, cow and goat cheeses, mushrooms and KOSHER poultry and diary items too! We also offer 6 distributions over the course of 3 months during the winter. In addition to seasonal veggies and fruit, we also offer many of our Optional Shares for those participating members. Where and when do we pick up our veggies each week? The 2018 season will begin @ June 12th (give or take depending on Mother Nature) and run for 23 consecutive weeks (excluding the week of July 4th) and ending @ November 20th. 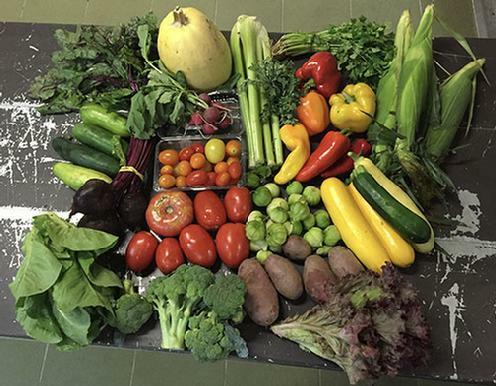 Our freshly harvested produce is delivered from the farms to our distribution site in NYC, at the Church of St Paul & St Andrew, 263 W 86th St at West End Ave. Members, or their representatives, collect their food at the site anytime between 4:00 and 7:30** PM every Tuesday in our beautiful outdoor courtyard. On rainy days, we distribute at the same location but indoors. **Late pick-ups are available. Before joining, please email bernie@creamofthecropcsa.org to make arrangements. Why Join Cream of the Crop CSA?